We use own and third party cookies to improve our services. You can change the settings or get more information Cookies Policy. If you continue to browse, consider accepting its use. The 46th edition of the prestigious Conde de Godó Trophy, organized by the Real Club Náutico de Barcelona since 1974, will be held in Barcelona from 23 to 26 May, with the inclusion of interesting newsness. Among them, the competition is open to the participation of monotypes J-70 and Dragon, along with the traditional J-80. For the Dragon, it is considered as the Spanish Cup. 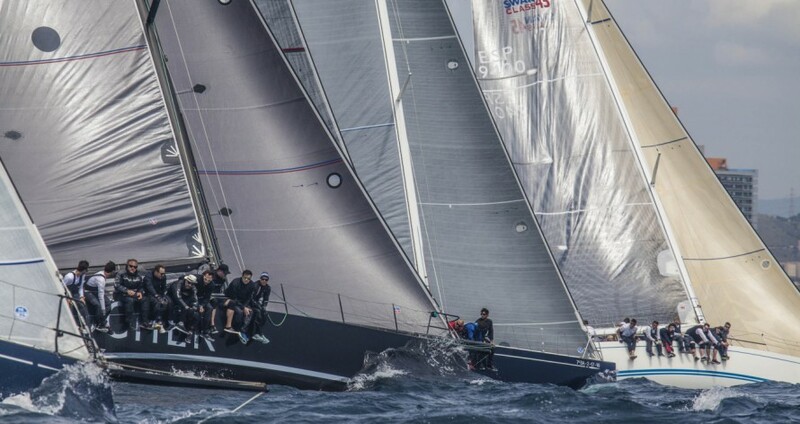 Dragon, J-70 and J-80 monotypes will be protagonists of the 46 Conde de Godó Trophy, together with the ORC cruisers. Registration is now open and can be processed through this form. First day will be Thursday 23, when the registration of participants will take place. Races will be held from Friday 24 to Sunday 26 May for the four participating classes. 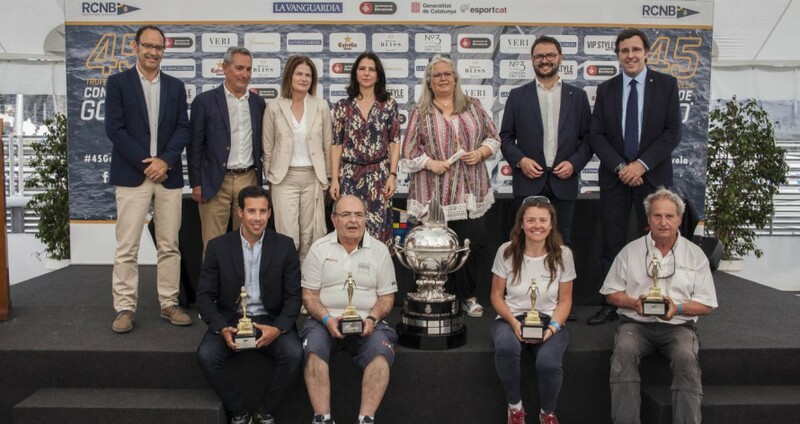 Organized by the Real Club Nautico de Barcelona with the collaboration of the Royal Spanish Sailing Federation and the Catalan Sailing Federation, the 46th Conde de Godó Trophy has the support of La Vanguardia, the City Council of Barcelona and the Generalitat de Catalunya . Collaborating companies are Gramona, Estrella Damm, Royal Bliss, VIP Style Magazine, Veri and Benfumat. The 45th Conde de Godó Trophy has closed today in the waters of Barcelona, ​​in one of the most competitive and exciting editions of recent times, with the participation of 51 boats and 500 sailors from eight countries. Organized since 1974 by the Real Club Nautico de Barcelona with the support of the Godó family, what is one of the most important regattas in the Mediterranean has crowned as champion for the ninth time and sixth consecutive year Rats on Fire by Rafael Carbonell, in ORC 0-1. The winners in the other categories are also repeaters: L'Immens-Laplaza Assessors (ORC 2) gets its third victory, the same as the Vertigo Dos (ORC 3-4), while the Bribón-Movistar (J80) achieves its fourth triumph in monotypes. East medium winds are forecasted for the last day of racing at the 45th Conde de Godó Trophy. The Race Committee will try to complete two races for the three ORC groups and three for the J80s. 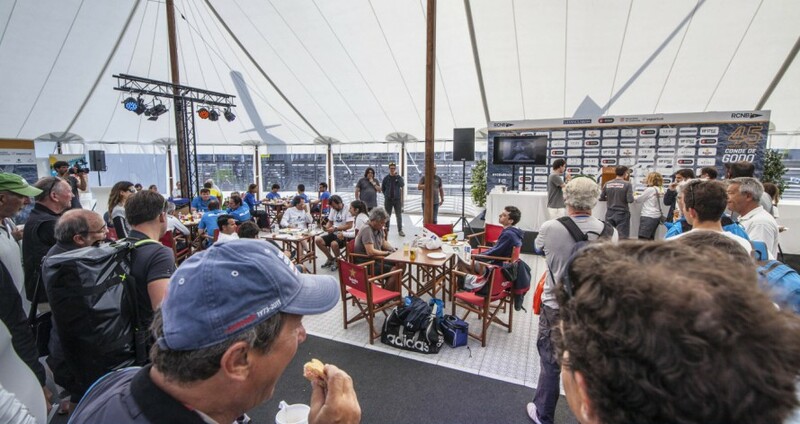 In total, from Friday to Sunday seven races were planned for the big boats and ten for the one-design units.